A cross between a Clouser Minnow and a Toad Fly -- Gary's Redfish Toad has what it takes to fool the largest Redfish and Black Drum. 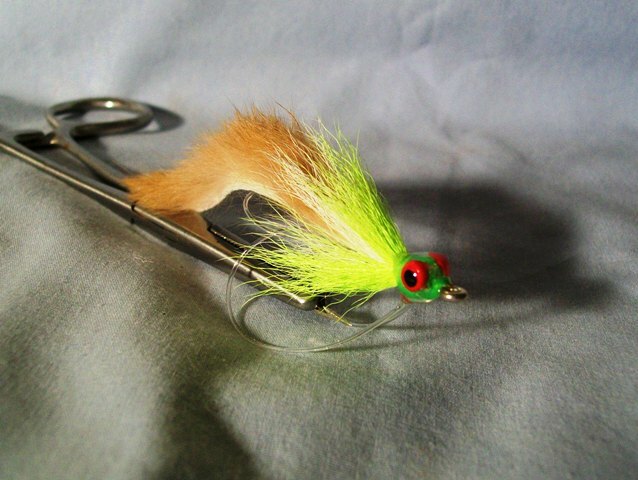 Tied with lead eyes and a rabbit strip tail, Gary's Redfish Fly gets down to where the big fish hold. 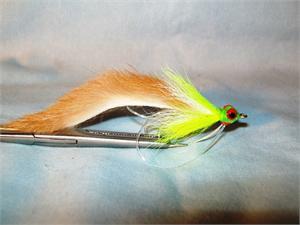 The rabbit strip tail provides the action to make them strike. 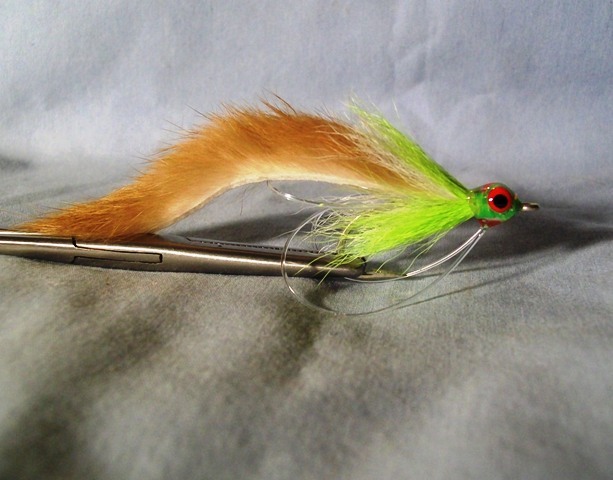 Lead eyes, craft fur tail, and synthetic body make for a fantastic deep water flat fly with lots of action. Mono tail loop to reduce fouling. 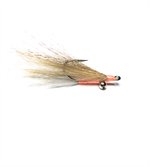 Great for Redfish and Black Drum. 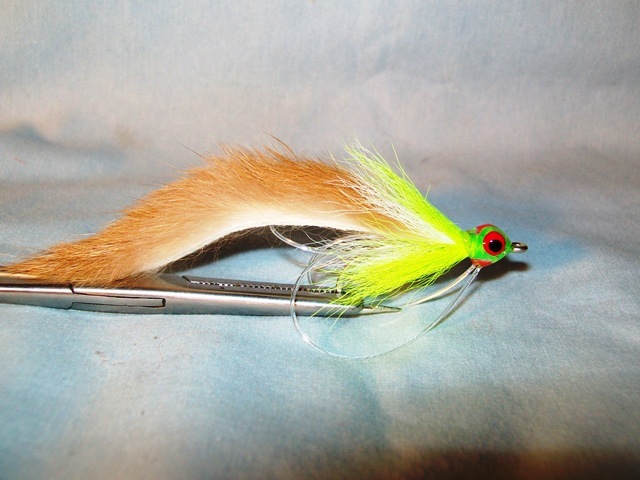 Hook size 1/0 or #2.